How did the patronage activities of India’s Vijayanagara Empire (c. 1346–1565) influence Hindu sectarian identities? 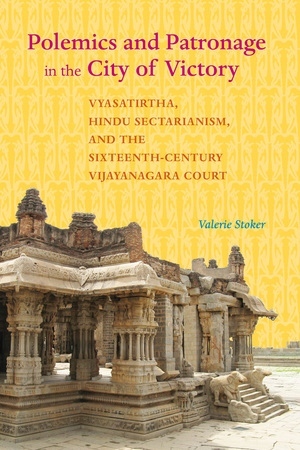 Although the empire has been commonly viewed as a Hindu bulwark against Islamic incursion from the north or as a religiously ecumenical state, Valerie Stoker argues that the Vijayanagara court was selective in its patronage of religious institutions. To understand the dynamic interaction between religious and royal institutions in this period, she focuses on the career of the Hindu intellectual and monastic leader Vyasatirtha. An agent of the state and a powerful religious authority, Vyasatirtha played an important role in expanding the empire’s economic and social networks. By examining his polemics against rival sects in the context of his work for the empire, Stoker provides a remarkably nuanced picture of the relationship between religious identity and sociopolitical reality under Vijayanagara rule. Valerie Stoker is Associate Professor of South Asian Religions and Director of the Master of Humanities Program at Wright State University in Dayton, Ohio.